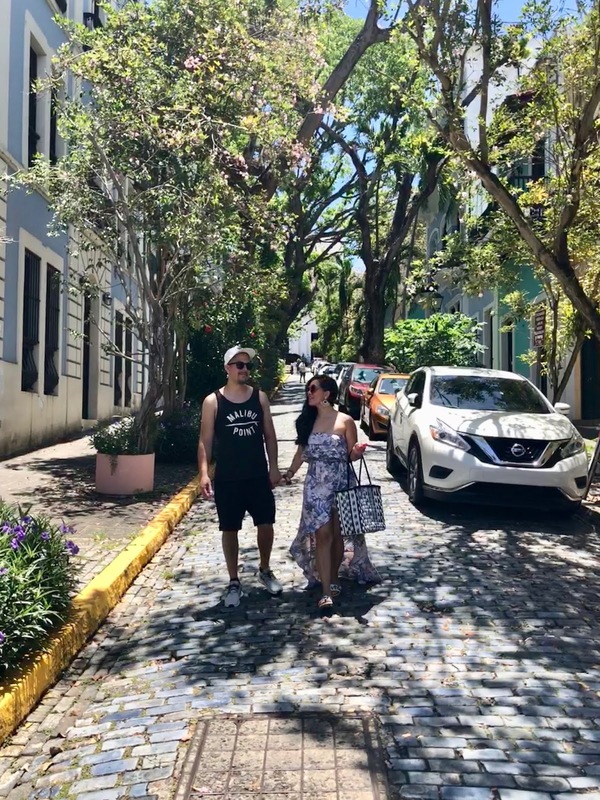 On May 29th we celebrated our 9th wedding anniversary... and we celebrated by taking a trip to beautiful San Juan, Puerto Rico for the weekend. 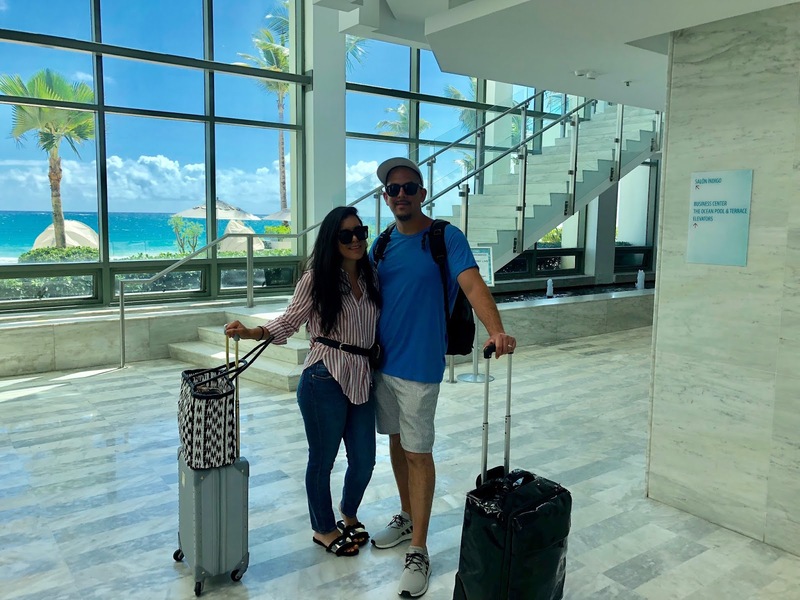 We haven't taken a trip without the kids in a while so this was the perfect opportunity to book a little #baecation. Having that alone time with your partner is so important, even though we always make time for date night, a vacation away from home without the kids is definitely a plus. 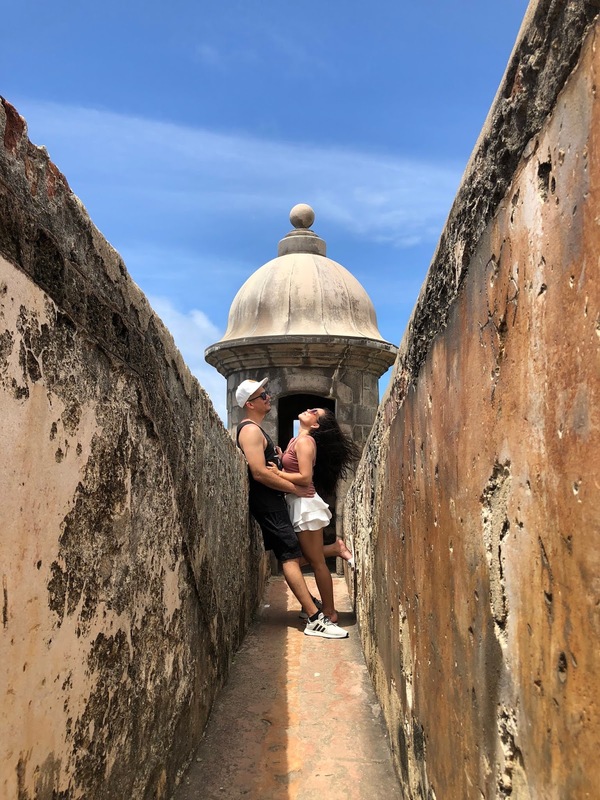 A few of you asked for details on where we stayed, what we did, where we ate and everything in between, so here are a few things about our vacation in Puerto Rico. We flew from Newark to San Juan on JetBlue and I have to say the flight was so smooth and the crew was amazing. 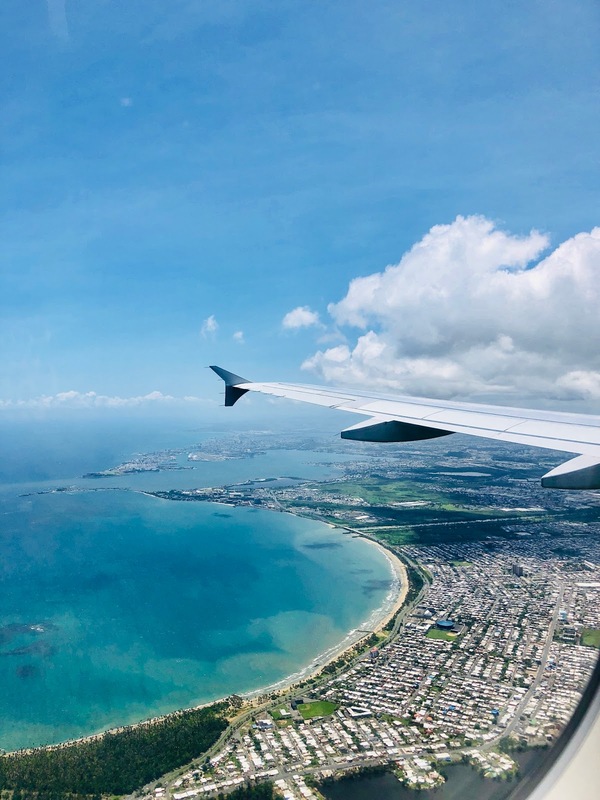 Anytime I can, I try and book my flights with JetBlue because I love the airline in comparison to other popular airlines, they always have amazing service, great prices and the ride is always comfortable and smooth. As you may or may not know, I don't like to fly, it makes me anxious. As part of my way of dealing with the anxiety I like to talk to the flight attendants and the ones aboard our JetBlue flights were amazing and so understanding and reassuring that everything would be ok (as I knew it would) it's always nice when they are so understanding and kind. I do plan to write a post about how I deal with my anxiety when traveling, I have a whole ritual of sorts lol. 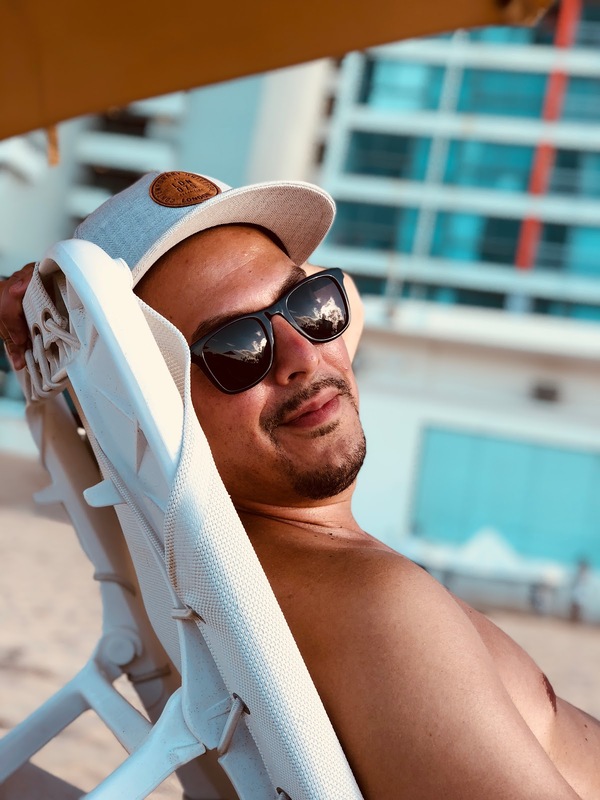 We stayed at La Concha Renaissance Resort in San Juan and loved our stay there. We were between the Condado Vanderbilt and La Concha and we went with La Concha because of the beach. The Condado Vanderbilt doesn't have a beach (just a small pool) and I needed a beach at the hotel, we love the beach! 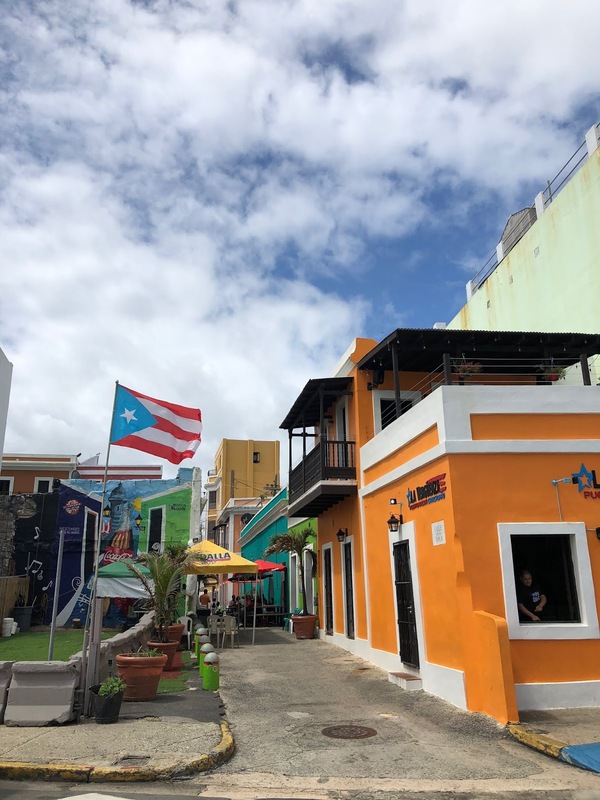 La Concha is located in the heart of San Juan so we had everything at walking distance, Walgreens, CVS, bars, restaurants, and just about 15 minutes from Old San Juan and El Morro. The hotel itself is beautiful. It has 4 pools, 7 restaurants, gym, spa, everything you need. The food was amazing and the beds were so comfortable. I love little details and one of my favorite things was that they left makeup remover wipes in the bathroom for me every night. I happened to forget to bring my own from home, so this little detail was so helpful to me. The room was equipped with a full fridge and stove as well as a small living room and dining room. 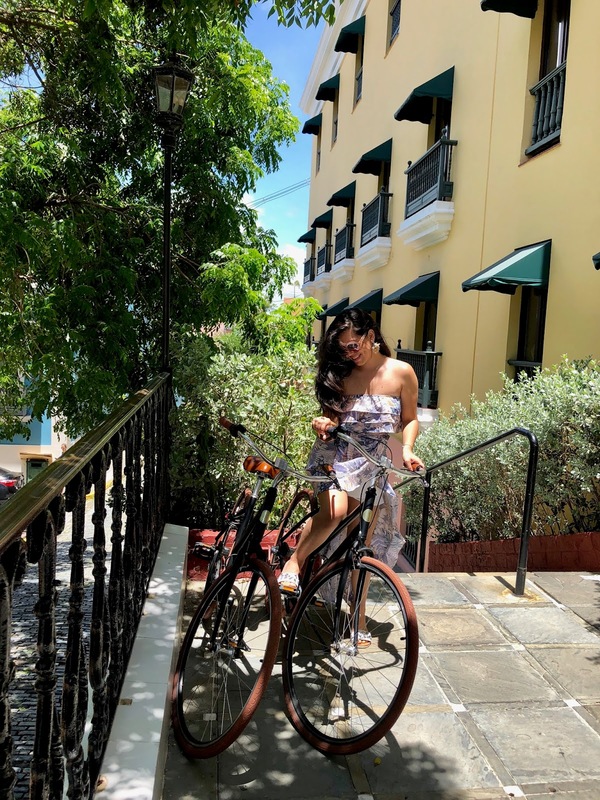 You can catch a glimpse on my Instagram highlights labeled "Puerto Rico". From the moment we booked our vacation I knew I wanted to eat all the mofongo con camarones al ajillo (mofongo with garlic shrimp) that I possibly could. So that's exactly what we did. We ate mofongo at 3 different restaurants in San Juan and only one was truly the best mofongo I've ever had. We ate at La Cueva del Mar in Old San Juan the first night. 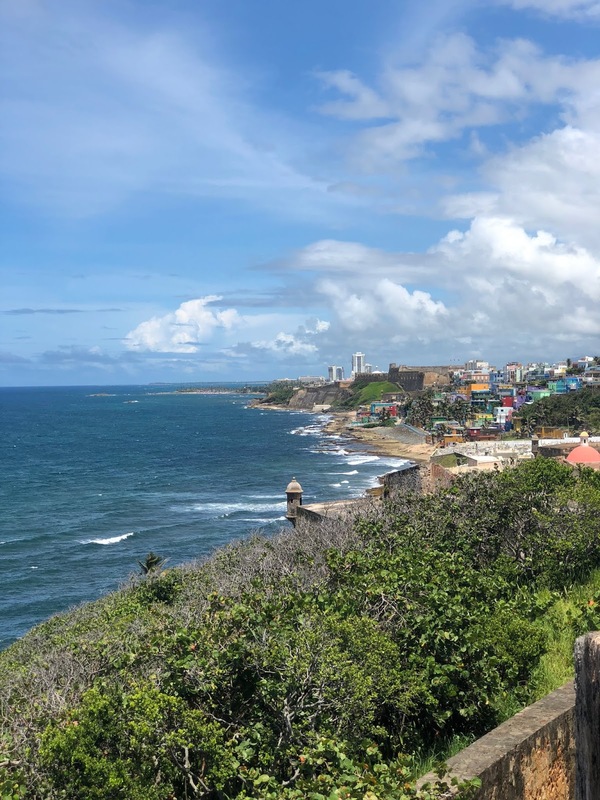 Then on our walk to the hotel from El Morro the next day, we stopped at Ladis Place (in San Juan) which had the most beautiful view and amazing mojitos. 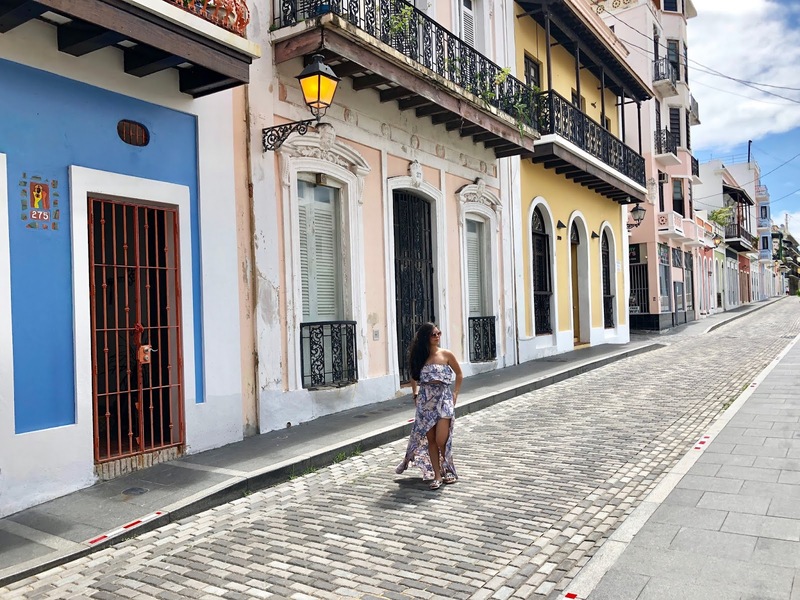 Lastly, we had mofongo at Punto de Vista in Old San Juan which had a beautiful rooftop and the most drunken pina coladas I've ever had, the bonus? they had happy hour at 8pm and that meant each drink was just $5! I had 3, needless to say I was a little borracha. After that we took Ubers everywhere and it came out to be sooo much cheaper than a regular taxi from the hotel. From our hotel to San Juan (15 minute ride) a taxi costs $20... but Uber, we paid between $6-$7. You can't beat that. So definitely do the Uber thing, we didn't have an issue with any of our rides. Even the ride to the airport on the day we came back home was just $8. So being that it was just us, no kids, we knew we wanted to have a relaxing-chill vacation but also do at least one excursion. So on the first day we got to the hotel we had lunch and drinks by the pool and then laid out on the beach. 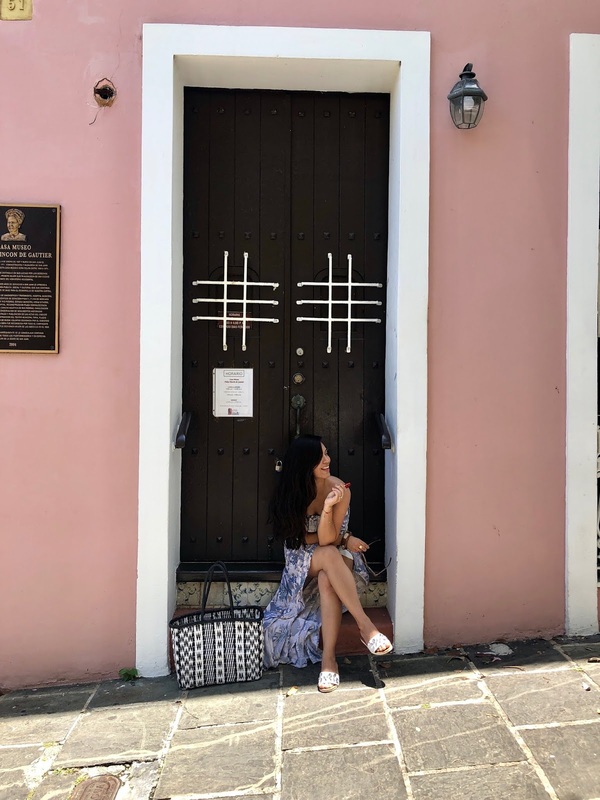 I was desperate to go to Old San Juan since so many people had told me how beautiful it was and it didn't disappoint. The vibe and the warmth of this place is incredible. The music at every corner, the live bands, the super chill yet lively atmosphere was my favorite. We had dinner at OSJ on the first night. I knew I wanted to go back to OSJ during the day so we took an Uber from the hotel to OSJ in the morning and had breakfast there. We walked around the beautiful cobblestone streets in genuine awe of its beauty the entire morning that day, I wish I could go back to that right now. It was truly my favorite day with my babe. We had coconut limbes (like coconut ices but way better) and sat down on some steps under the shade to just take it all in. 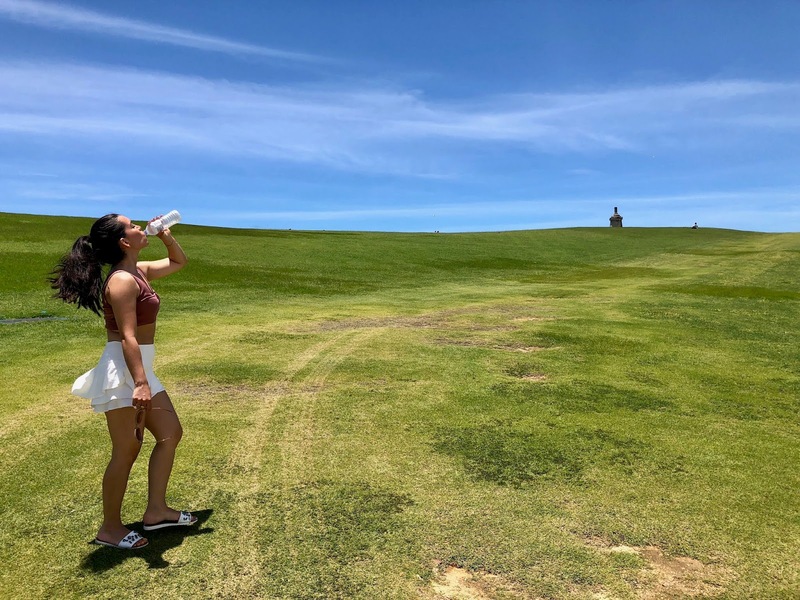 We then made our way to El Morro and OMG... there's this sort of hill that you come to - think "Sound of Music"... it was breathtaking and pictures do it no justice at all. There was this beautiful breeze atop of that hill, I can't explain it, you have to experience it for yourself... Dave and I felt, just SO happy in that moment. It reminded me of the day we arrived in Venice after the taxi dropped us off and we made a turn and saw the Grand Canal. It was one those wow moments for me. 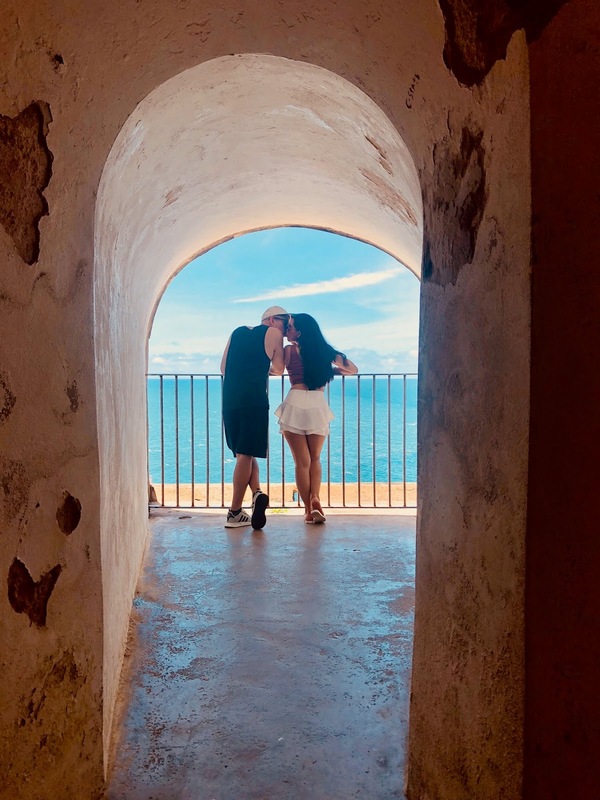 El Morro was such beautiful site, every turn was full of history and I enjoyed reading about how the Spaniards took over Puerto Rico and how the US claimed it. It was definitely a bittersweet moment because while Puerto Rico is so charming and beautiful it also remind me of the lack of support it has received from our government. We paid $7 to get into the site... my favorite were the little tunnel-like windows where you can view the ocean. I kept picturing myself back in the day and trying to understand how life was when the island was discovered. I loved the vibe outside El Morro, on all that greenery... there were kids flying kids, people having picnics and just enjoying nature. I missed the kids so much in that moment and imagined them having a blast running around and flying their kites. 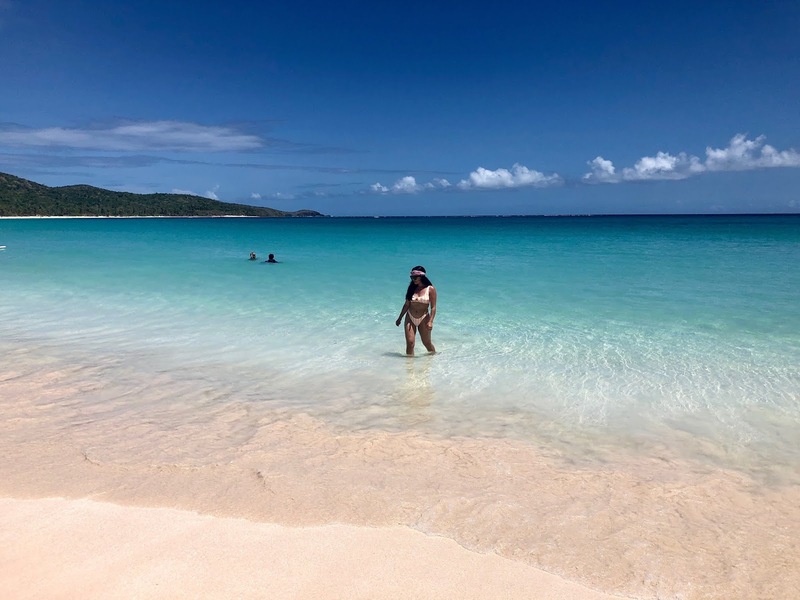 If you visit Puerto Rico, you should really try to make your way to Culebra. It truly was breathtaking. We booked a tour through the hotel and paid $135 per person. A bus picked us up from our hotel at 6:15am to head to Fajardo where we embarked on the boat to Flamenco Beach. The drive from San Juan to Fajardo was about 45 minutes. When we got to Fajardo we signed some safety documents and headed to the boat. 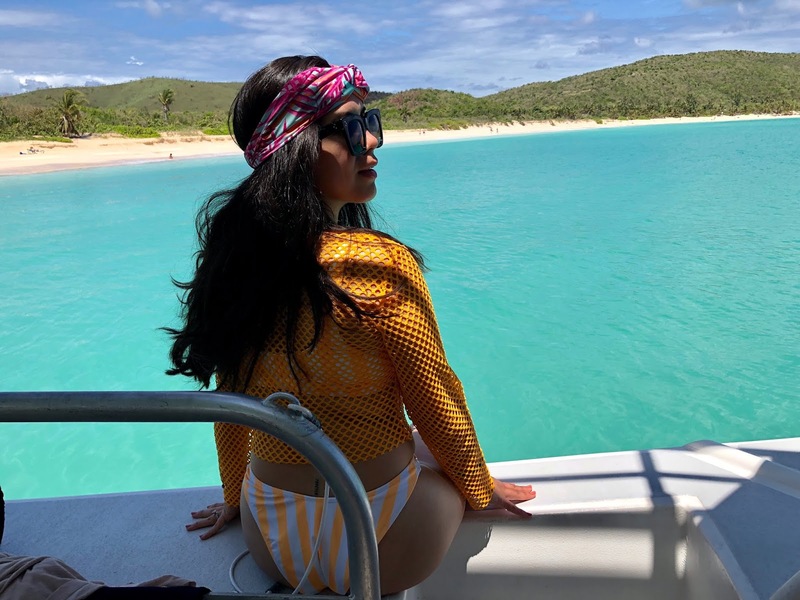 I have to be really honest here, the boat was small and the ride into Flamenco Beach was terrible. 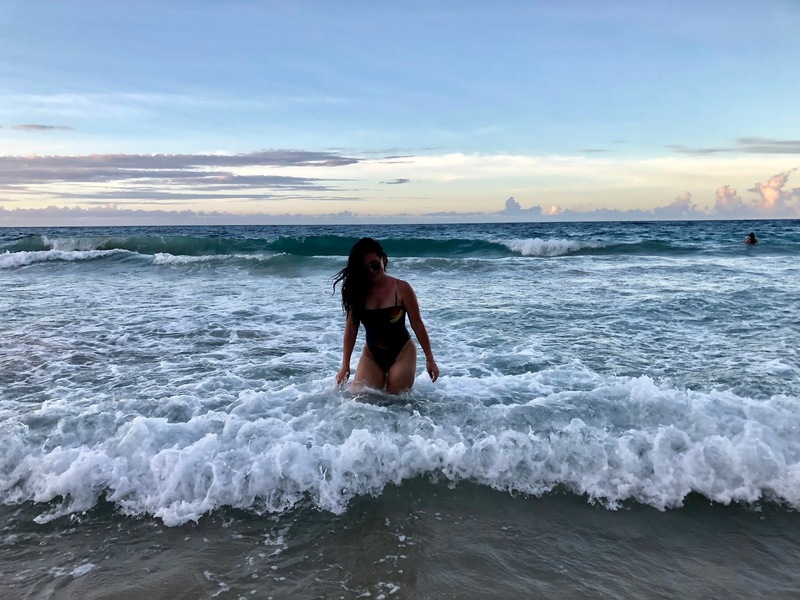 The ride was super choppy and it took and hour and a half to get into Flamenco beach. I spent about an hour clenching onto Dave's arm because that was the scariest boat ride I've ever experienced. I don't get sea sick so it had nothing to do with that, I was just scared AF. The boat moved so much, I knew this boat was way too small so we felt everything. Thankfully the way back to Fajardo was super smooth. The captain explained that we were going against the current on the way there and that it was a bit windy. Phew. 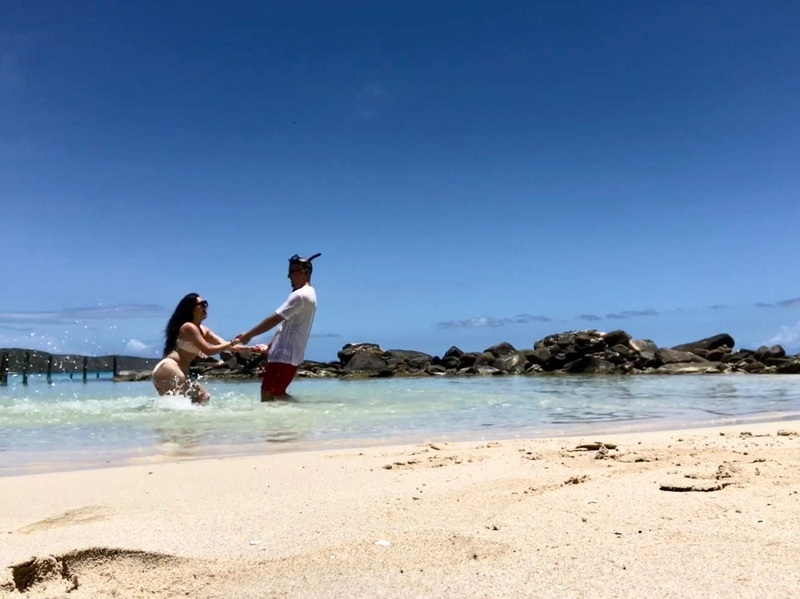 Thank God the views were absolutely breathtaking once we got to Culebra because it was totally worth it. 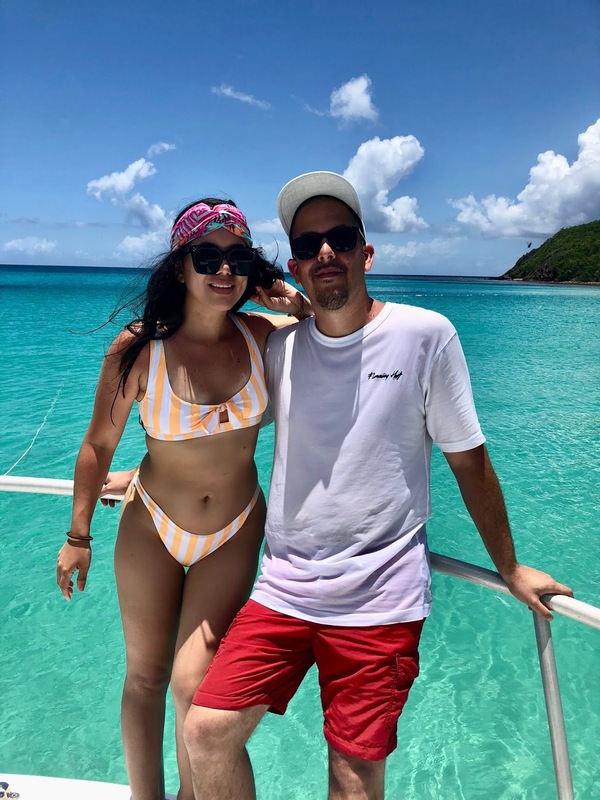 After hanging out on Flamenco Beach and having lunch there for about 2 hours we headed to the middle of the ocean over a coral reef to snorkel... and it was so beautiful. Besides the crazy boat ride going there everything else was great. The ride back was as smooth as they said it would be since we were going with the current this time and it was much later in the day. We were back at the hotel by 5pm. 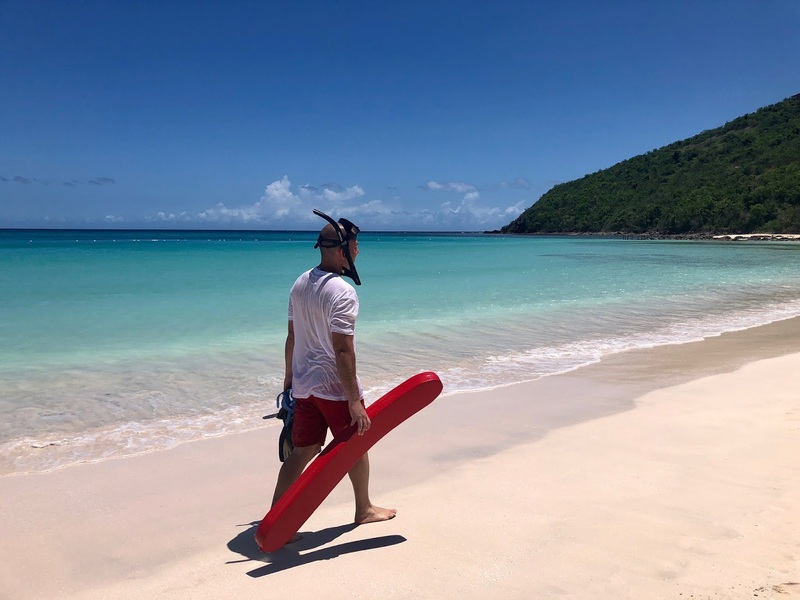 A lot of you messaged me asking me how the island was after catastrophic Hurricane Maria so I wanted to end this post with a little bit about that. We stayed in San Juan and the city is perfectly fine. Yes, there are few buildings where you can see that windows shattered and now have wood blocks on them and we saw just one brick balcony in Old San Juan that was in bad shape. But other than those two, the city seems to be running normally. 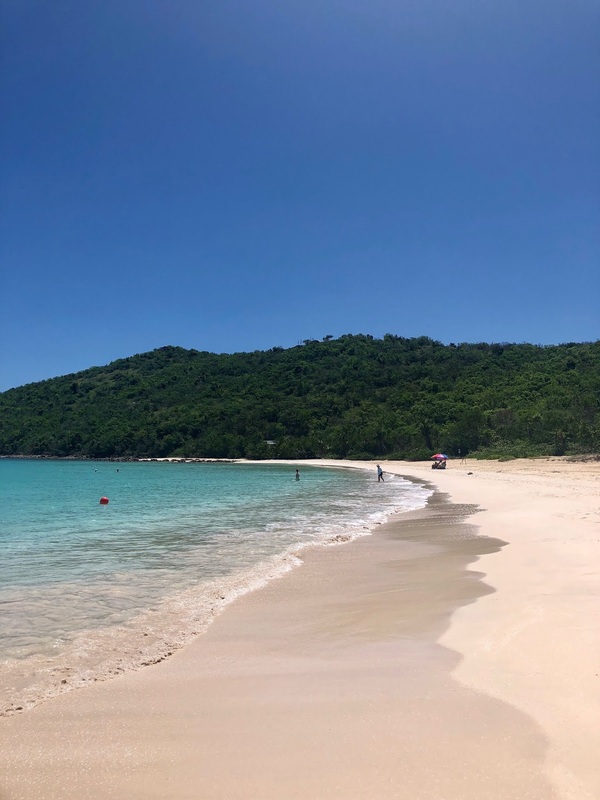 Culebra looked great as well and you wouldn't be able to tell that a hurricane as big as Maria hit just a few months ago. We did hear that El Yunque still has a couple of areas blocked off due to hurricane affected areas but they are still doing tours into the famous rainforest and you can still visit waterfalls and rivers. That is the only thing I heard about touristy areas while we were there. The truth is that the rainforest was never on top of my list of things to do so it didn't affect our vacation. When we got back home I read about the death toll numbers... over 4,600 people died during Hurricane Maria and it really broke my heart. 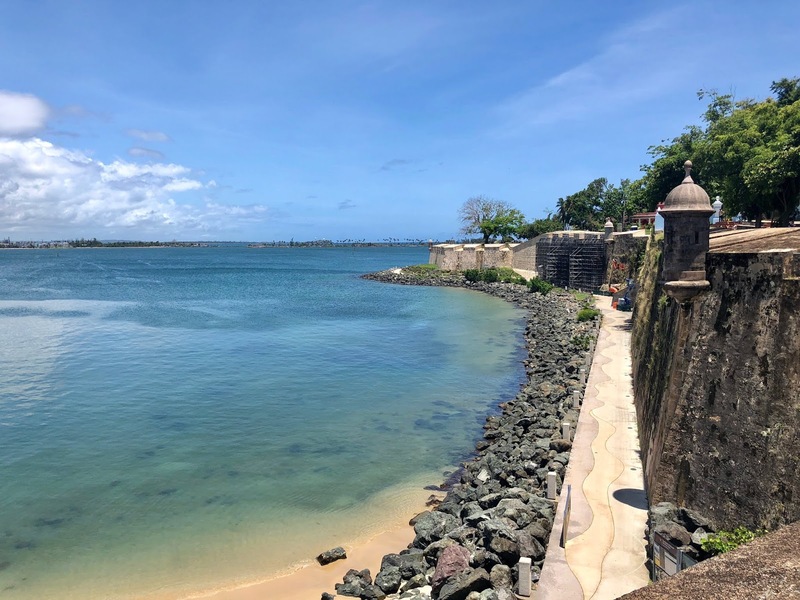 Having had just been there and experiencing Puerto Rico's beauty and charm it made me very sad to know that our country, the United States of America has abandoned our Puerto Rican brothers and sisters. 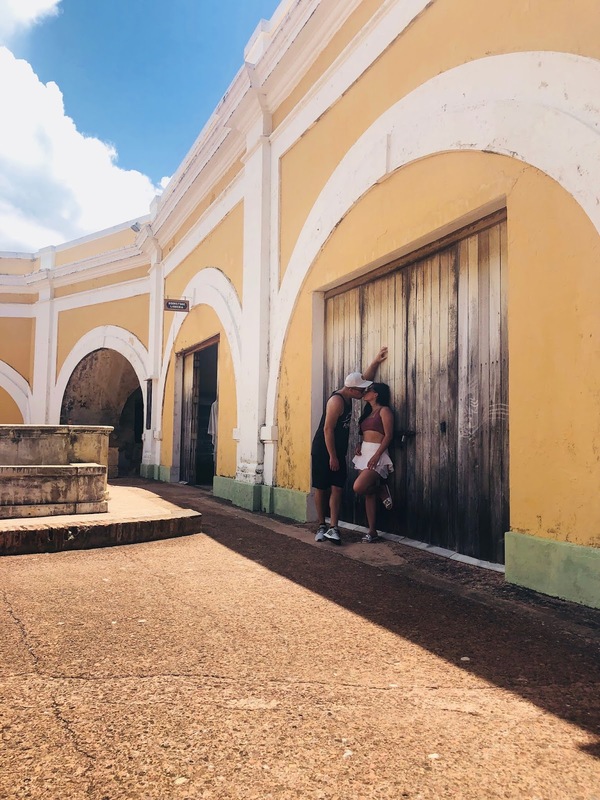 Dave and I both were happily surprised to see how beautiful every inch of Old San Juan is. It is so clean and well maintained.. you can see and feel the love that Puerto Rican's have for their island. Everyone we encountered was so nice and polite and just warm and welcoming. We always felt so safe, we walked around a lot, we took Ubers and simply enjoyed our time there worry-free. During those days I understood why Puerto Ricans are so proud of their beautiful island. I get it now and honestly I think Puerto Rico is extremely underrated. If you haven't visited you have to make your way to the Caribbean island. Not only will you be helping them get back on their toes but trust me, you'll love it as much as we did... we can't wait to go back with the kids. Such a great post, Erika. The photos are stunning and I'm so glad you got to go to Punto de Vista - def. one of my favs. So happy you guys had an amazing anniversary trip.